Running a viral Facebook contest is a dream that almost all online marketers share, but not all find the Holy Grail of Facebook marketing. But marketing folks realize the power of contests such as this, so the race is always run, and new strategies are adopted to make a contest go viral. Some will work, while some crash and burn. The general consensus is that there is no a defined recipe to make anything go viral, but there are some ingredients which are mixed and matched, knowingly or unknowingly, in varying proportions in almost all viral campaigns. This is what I am going to talk about in the article. What your fans are looking for? The first question you need to ask is, what your fans are looking for, or what hasn’t been delivered to them by your industry? This is a qualitative assessment so it will take some time, and when you are doing it you should put number-churning aside. I’d also add that this is a manual exercise, so you need some persistence and resilience. To find out what your audience wants, you should visit the profiles of the people who like your page, and/or posts. Go inside their profiles and see what they like and what they don’t. See the kinds of things they share, if public viewing is allowed on their profiles—worry not, you will find a number of profiles that allow public viewing. Visit a handful of profiles and try to understand the people owning those. When reading your fans’ profiles, do not limit yourself to seeing what they say about you or your industry. You need to find out what kind of updates they make, the kind of discussions they hold, and language they use. Read a good many profiles until you get a hang of what excites people who follow your page or posts. This step builds the foundations of what I am going to suggest. Based on what you have understood about your audience above, you need to redo the marketing message you want to share with your fans to match the things that excite them. If the existing message does not suit the purpose, then go back to the ideation level. You should always create multiple variants of the core message you want to deliver. Before we talk about creating a contest, let’s put the topic of “lucrative prize” aside by discussing it at the beginning. Everyone may want an iPad, but not every contest needs to give away an iPad for free to excite its audience. But the prize also should not be a voucher to be cashed on your website. It may work if you are Amazon, or your fans really love to shop on your website. But generally, the prize should be in line with your fans’ expectations. You will get an idea about it when going through their profiles. The contest that you create should keep the likes and dislikes of your fans in mind. And it should be in tune with their understanding of the world, if you need to change a particular perception than the message should be subliminal, seeded in small bytes in various posts, which should be cyclic. Keep the contest simple, but not simpler. People like to believe they have achieved something, and if the contest is stupidly simple then the motivation of having done something will not be there, and even when a person will participate, one will not talk about it with one’s friends. 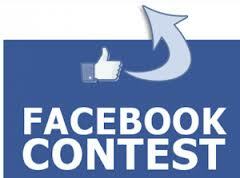 Once the contest is created, you should not solely rely on your status update to inform your audience. You should go as far as running an ad for the contest, but keep in mind that the ad should be visible only to your fans and their friends, as the goal is not to gain new fans. The target of this ad should be laser-sharp. Filter your audience based on the understanding you gained from reading your fans’ profiles. As you can see, the steps I discussed above involve some work, and to make this work, the process should begin from the top. Studying your fans’ profile is the absolute foundation on which you will build your viral contest, so a thorough study is important. This is should be your first step, and during the second and third step you can think of obvious contest elements like sharing it on your wall, telling your friend, tweeting it, etc. And once your ad campaign is live, monitor your contest for action, if there is not much going on, you may need to go back to step one to retarget your advertisement.